KIEV, Ukraine -- Forbes Insights in association with Societe Generale Private Banking put together a recent report on “Emerging Markets: Joining the Global Ranks of Wealth Creators” which analyzed fortunes and economies in rising markets. According to the report, “ In Central Europe and Russia, the trigger for wealth creation was transitioning from communism to free markets just two decades ago. The overall score for openness that Forbes wealth analysts give Central Europe is 3.9, and the social attitudes are at 3.8. There are vast differences among the countries, depending on how fast and how masterfully they handled the transition to free markets and democracy. Leading the way are countries such as Poland and the Czech Republic, which get the highest scores, while southeastern Europe is still lagging. We spoke with Ukraine’s second wealthiest man, Victor Pinchuk, about what Ukraine needs to do to improve its competitive positioning and support home-grown entrepreneurs like himself. 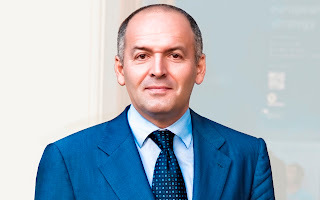 Pinchuk made his initial fortune from traditional pipe manufacturing; over the past year, his Interpipe launched a $700 million steel plant, the first such plant build from scratch in Ukraine since 1991. Pinchuk has also diversified his investments into media and art and sought a greater global voice: he was back at the annual World Economic Forum in Davos this year, hosting a panel on online education with panelists including fellow billionaires Bill Gates and Peter Thiel. Forbes Insights: What is the attitude of the general population to the wealth creators (people like you) in your country/region? Why is it so? How do social attitudes affect how you conduct your business? Pinchuk: I conduct business not dependent of public sentiment but according to the rules of fair business. But I recognize that today business means more than only to create value. I try to anticipate changes affecting society, stay ahead of them and help address them. For example, with the new metallurgical plant we opened in Dnepropetrovsk in October 2012. It combines cutting edge production methods, energy saving and protection of environment, investment in staff, and inspiration and support for the surrounding society with contemporary artworks and social programs for the district where it is located. Also, Ukrainian business needs to communicate better to the society in which it is embedded. Ukrainian business has played a very constructive role since Ukraine became independent, regardless of mistakes that have been made. It has worked hard to create value for society, and it has also increasingly contributed to solving social problems. Today in Ukraine many people struggle to survive, older ones often see the breakdown of the Soviet system as a loss of stability and security for average people, and therefore a certain hostility to quickly acquired wealth is from their point of view quite understandable at the first look. I hope we will manage to convince ever more people. Forbes Insights: Do you feel comfortable displaying your wealth? Pinchuk: I do not hide my wealth, but I do not show it off, and most importantly I try to use it for improving society. The more you own, the more you can do for your country. For example, I am proud that each day around 2000 mostly young Ukrainians come to see for free top exhibitions of contemporary art including works from my art collection in the PinchukArtCentre in Kiev. And I am happy that with the social projects of my foundation we have saved many thousands of prematurely born babies, provided scholarships for thousands of Ukrainian students within Ukraine and at the best universities of the world, brought to Ukraine great singers like Elton John and Paul McCartney, visionaries like Bill Clinton, Shimon Peres, and many more, to share their inspiration with Ukrainian citizens. Forbes Insights: What is your passion/pursuit outside your business? Why? What do you consider your biggest achievement outside of your business? Pinchuk: My goal in my social activities is to empower the next generation to change their country and the world. We want to enable them to build a new country based on an understanding of the world of today and tomorrow and on openness. I do this with social investments of my foundation which focus on education, contemporary art and international integration, using innovative approaches. For example with large scale education and scholarship programs. With providing access to contemporary art in our museum in Kiev where millions have seen works by Andreas Gursky, Jeff Koons, Takashi Murakami and the best artists of a new generation, international and Ukrainian. With the Annual Meeting of an NGO I founded, Yalta European Strategy, where global decision makers each year in Yalta discuss the challenges of tomorrow and Ukraine’s place in Europe. Among others, Tony Blair, Bill Clinton, Shimon Peres, Recep Tayipp Erdogan, Condoleezza Rice, Paul Krugman, Richard Branson, have spoken there with Ukrainian leaders and with Ukrainian students. So I try to create a set of programs fostering the creation of a new generation at different strategic levels, and I think they are mutually reinforcing and belong together. But if I had to choose one single achievement, it would be the rescue until today of over 15.000 premature babies that have been saved in the network of neonatal centers “Cradles of Hope” that we have been creating in Ukraine. Forbes Insights: In terms of business pursuits, what would you consider to be the biggest achievements of the wealth creators in your country/region? (examples: innovative products or business strategies, the speed with which they expanded internationally, their impact on the economy. ) What would you consider your biggest business-related achievements? Pinchuk: As the biggest achievements I see the ongoing transformation of our assets following rules and principles of global business, including social responsibility. For example, in my case, the introduction of international standards at my company Interpipe, the consolidation of my assets in the investment vehicle EastOne. My greatest personal achievement in this area as of today is probably the creation of the new “Interpipe Steel” plant that we opened in October 2012 which I mentioned above. A USD $700 million investment, it is the first big metallurgic plant built from scratch in Ukraine since the country became independent in 1991 and the largest facility of its kind in Eastern Europe. And we decided to immediately make it a plant on top international level. The latest technology with top staff, energy saving, minimizing damage to the environment, and moreover the integration of inspiring artwork. Another achievement in Ukraine is the creation of the Internet business incubator EastLabs in Kiev. It opens a door for Ukraine into one of the important sectors of the economy of the future. Ukraine has a great engineering tradition, top programmers, people with innovative business ideas. We provide them with office space, mentors, advice, and introduction to investors. Using, as in other areas of our business, innovation as a principle, we are I hope creating a center of energy for the future economy of Ukraine. Pinchuk: Leading entrepreneurs in Ukraine have a common interest in creating an environment for rule of law, conditions fostering entrepreneurship and business, and social stability. We also have a common responsibility to society to move this case forward. We could cooperate more in this crucial cause to take Ukraine to a level where it can succeed economically and socially in the globalized world of the 21st century. 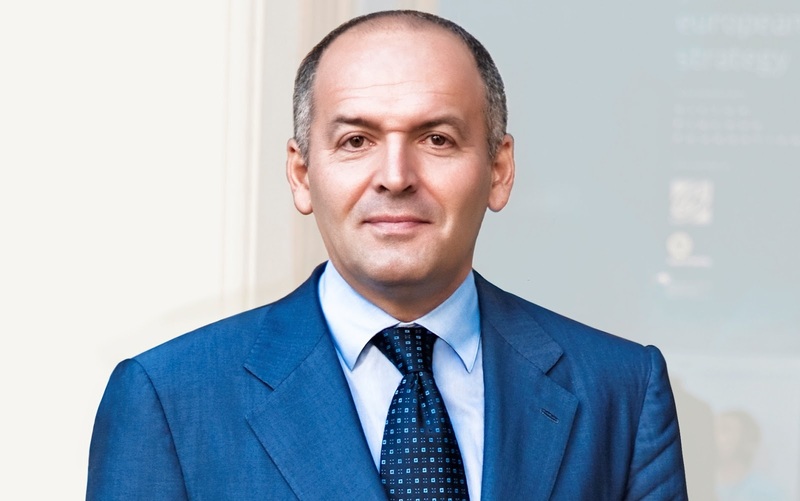 Pinchuk: Ukrainian business must really embrace global competition. We need to understand that competition for resources and clients is not with competitors from across the street or from another city, but with millions of businesses around the world. Global thinking in developing innovative approaches and efficient business processes is crucial. For us, international co-investors are becoming more and more important partners in working in or from Ukraine at a global level, like for example Vitol which is co-investing in the oil and gas company Geo Alliance with my investment vehicle EastOne. The DNA of modern business must change and include social responsibility as an integral part. If Ukrainian business will not accept this, it risks not only increases tensions within Ukrainian society, but also to be left behind globally. Forbes Insights: What are the biggest challenges to your industry? Pinchuk: Let me give you three examples from three important parts of my business. In the pipe industry, we very much depend on a stable and cooperative international environment. We are export-dependent, we need our markets like Russia, the Middle East, Europe to be stable and prosper. And we need effective and conflict free economic relations and cooperation and integration structures of Ukraine with the Russian Federation, the EU and in general the world. We have strong products and a strategy for growth, we look forward to fair competition – but only in a secure, open and integrated world we can realize our plans to the full. A second important pillar of my business is media. Here, my interest is as always the rule of law, and specifically fair competition. For example when Ukraine makes the step to adopting digital television, it must happen in a transparent and fair way that does not make us a black sheep if compared to other countries. Third, our small but important project of an Internet business incubator in Kiev. Our “junior entrepreneurs” need a legal framework that allows to found and run companies easily and without bureaucracy. Ukrainians have great business ideas and top programmers. Internet business is one of the gold digger areas of our time, let us help our citizens participate. Forbes Insights: What should the rest of the world know about the wealth creators in your country/region? Pinchuk: You will be impressed about the depth and breadth of Ukrainian business with its strong competences and even stronger potential in, for example, metallurgy, agriculture, energy, programming. And many Ukrainian business people are very flexible and eager to grow, entering new markets and segments of the economy. And many of them bring a remarkable combination of connections to Europe and the post-Soviet space and can be useful partners for international businesses who want to profit from such a strategic link. Forbes Insights: Are family offices to invest personal wealth common in your country/region? What are your preferred investment vehicles (stock market, private equity, real estate, art, sport teams etc.) and do you focus on domestic or international investments? Pinchuk: Family offices do exist but they are not yet a common practice. As to my own investment preferences, let me just say that in my personal case contemporary art is a great investment, because it is an enormously profitable investment in Ukrainian society. What better investment could you imagine than one where the ROI is thousands of young Ukrainians every day who stand in line in front of our museum? Over the course of years, millions of citizens of the Ukraine of tomorrow get inspired by the most surprising and prescient representations of the world that contemporary art has to offer, developing an open and global outlook. Forbes Insights: What economic, political or social events in your country/region had the most impact on our business and your pursuits over the last 12 months? And what do you believe will be the main issues that you will have to deal with over the next 12 months? Pinchuk: The Ukrainian parliamentary elections in the end were recognized as in general free and fair, based among others on relatively free media coverage, and produced a parliament with different strong camps who, I hope, will present the picture of a lively but constructive democracy. Two other crucial events are events that did not happen: no breakdown of the Euro area triggering a global economic turndown, no acute crisis in Ukraine’s economic relationships with the Russian Federation and the EU – in spite of tensions. The main issue in the coming twelve months is to first secure these partial successes and second turn them into enduring solutions, to get from muddling through to a creative and strategic policy. Only this will give business in Ukraine enough security to grow dynamically our contributions to creating value, work places and creating a better society. The world needs to find a way how to design its societies after the most severe economic global downturn since the great depression of the 1930s, and Ukraine needs to find its solution. Forbes Insights: When describing your business, is your first affiliation to describe it as a global business or a Ukraine based business? How successful at global branding are Ukrainian businesses? Pinchuk: My business is a globally-oriented business based in Ukraine. Our strategies and processes are based on global best practices and we speak to our international partners in the language of global business. Also, crucial markets for us are international and we have important international investments. But Ukraine is not only an important market, it is where my main assets are, where the focus of our production is, and where the vast majority of people live who work with me. This is my country, my society, and we do not for a moment forget where we are from. And in all my professional and social projects I always follow the goal of strengthening my country.